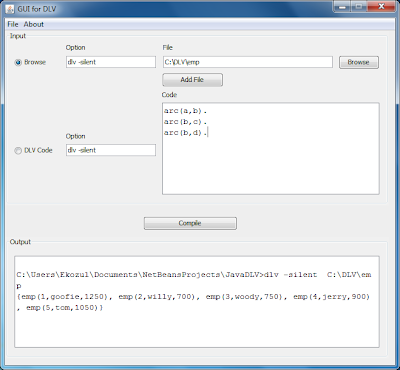 Now I've uploaded the source code "GUI for DLV" here. Please download the source code. This simple application is my learning tool that I created by myself. This is the first time for learning DLV, so I have not much knowledge about DLV. 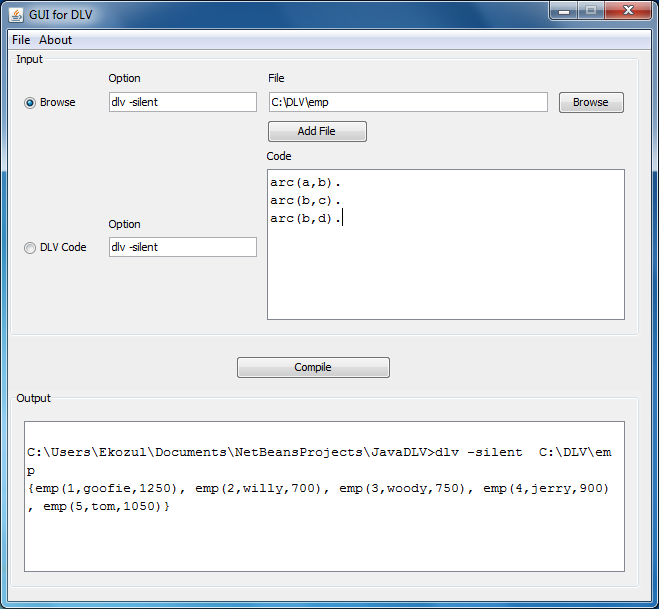 Download GUI for DLV Source code here.